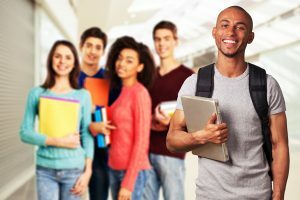 Top 10 Tips for Work Readiness is an outstanding teaching tool for educational institutions that need printable PDFs on CD for teaching soft, employability skills. This comprehensive program provides 200 interactive PDF lessons on characteristics and skills employers identify as most important for career success. The easy-reading materials are offered in a simple format of 10 Tips per lesson. A True/False assessment and critical thinking activity are provided for each lesson. 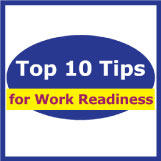 Conveniently packaged in a set of five CDs, Top 10 Tips for Work Readiness is divided into subtopics of 10 lessons each. The lessons can be printed or all CDs can be loaded on individual computers or school server. This colorful, printable program can be used as an individualized learning experience or as a teacher-directed activity. Click here to access a Top 10 Tips for Work Readiness demonstration lesson.